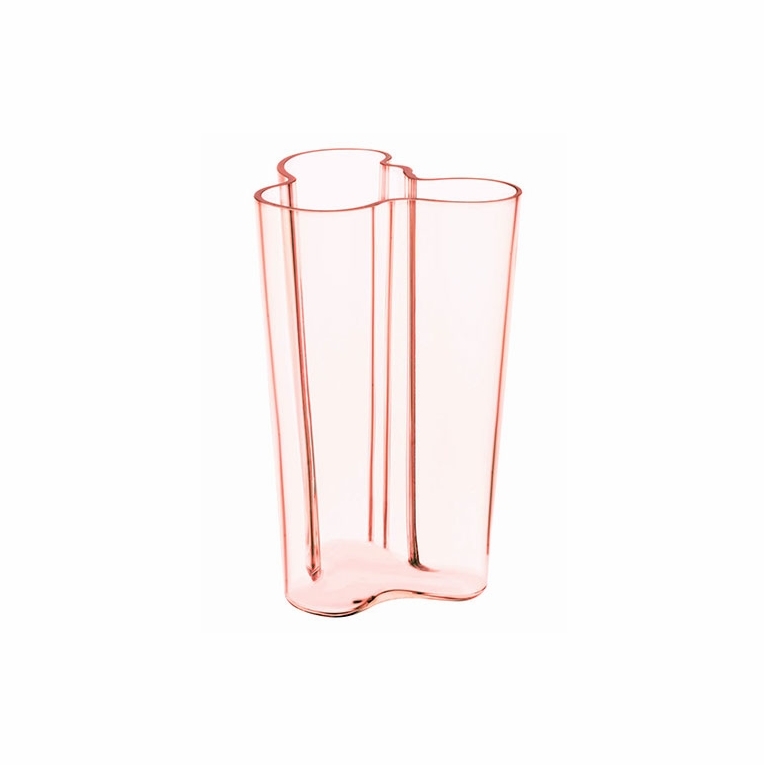 The tallest of the collection, the iittala Aalto Finlandia 10" Salmon Pink Vase makes an impactful statement. Tinted in this season's newest colorway, the salmon pink hue adds a soft hint of rose-orange color that gently accents the curved shape of the vase. Designed in 1936 by Alvar Aalto, he presented his work at the Paris World Fair and gained immediate recognition for his innovative and meticulously crafted glassware. Ideal for a variety of uses, the iittala Finlandia Vase will stun your friends and family with its sparkling beauty.The Story of a Classic.